Thank you for taking the time to stop by the blog! I can’t believe we are in November already! Two weeks ago I went on vacation with my family to the lovely island of Saint Lucia (see here). Managing my natural hair was super easy as it was in protective styles most of the times, if not all of the times. If you are planning on going on vacation soon, you’re probably wondering what to do with your natural hair. I know that can be a task at times trying to figure out what hairstyle to wear to on vacation. I made it easy for you to choose from. 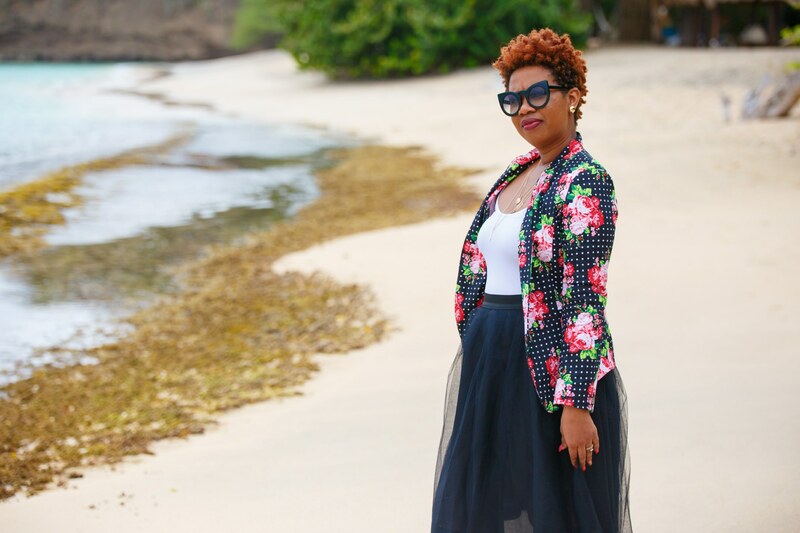 Here are four protective styles for vacation. Box Braids is the number one go to hair style that every woman loves as a protective style! There is always something so unique and liberating about a long set of box braids at the beach, whether they’re worn down or in a high bun. Trending now-a-days is crochet box braids which is also a go to hair style. Always remember to ensure that your hair dresser doesn’t take too much on your edges! Ghana cornrows or ghana braids is highly trending now. Oh how I love this style!! This hair style, it’s a beautiful and a super great option for vacations. This is reason why I would recommend it because it is relatively quick to install, protects your hair, and still gives access to your scalp. There are so many different braid sizes and shapes so you can really get creative, and you can get them straight back or in a bun! I love wearing curly hair. On my recent vacation I wore a curly wig from “Outre Big Beautiful Hair Collection“. I did not want to deal with the fuss of my own hair. So I rocked a curly wig on my vacation which was stress free! Crochet Braids is my number one favorite. It’s not too heavy, is really versatile, and works with almost all of the above options. Which hair style would you like to wear while on Vacation?